According to Moving Together Providence has the potential to be a "world model for urban design." That is of course, if the city decides to go ahead with their ambitious proposal of tearing up the 6/10 connector which joins Routes 6 and 10 between Olneyville and the interchange with Interstate 95, replacing it with a bicycle- and bus-friendly green boulevard. Currently, the connector makes use of eleven bridges, nine of which are over 50 years old and are in need of repair. The Rhode Island Department of Transportation estimates that such restoration would cost upwards of $400 million. 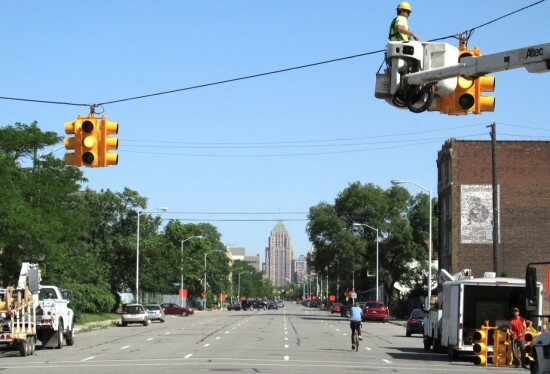 Moving Together argues that instead of using those funds to fix infrastructure that will inevitably have be repaired again, the money should be used to transform the connector into a green boulevard with special bus and protected bike lanes. That's something, Rhode Island Governor Gina Raimondo has said she would like to see take place. 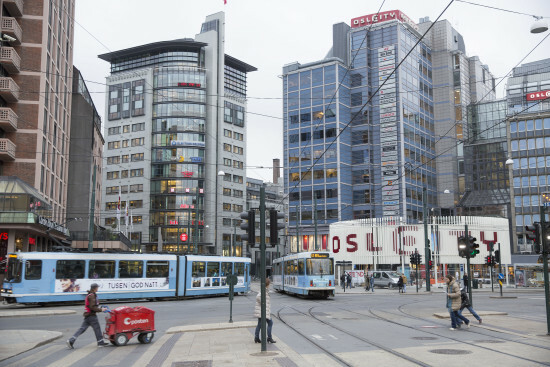 Today, the connector heavily prioritizes private and commercial vehicle access into, out of, and through the city center. This has been the case for so long now, that the system has since become deeply embedded into Providence's urban fabric. 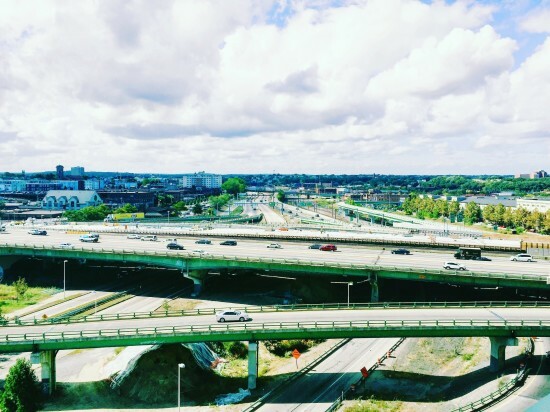 However, these outdated priorities may have to make way for the contemporary demand of more efficient transportation connections that address communal, environmental, and economic needs—the triple bottom line. Naturally, there is a popular concern that removing such a widely used highway will only increase traffic. Nevertheless, urban planner Alex Krogh-Grabbe dispels these fears, saying that traffic is only increased as capacity is added, a concept known as "included demand" whereby people only use a service (in this case the highway) due to its presence. In taking away a travel option, routes into the city are actually diversified, with drivers taking many different journeys via local streets. An example of this can be seen in New York City. In 1973, the West Side Highway was removed due to a partial collapse. At the time, some 80,000 vehicles used the highway daily. Officials were baffled when traffic in the surrounding neighborhoods didn't increase with the elevated highway's closure. Now that highway is a wide boulevard running alongside the Hudson River Greenway with a much used bike route. Another dramatic transformation can be seen with the Cheonggyecheon Highway in South Korea. Here the removal of the much used highway saw a 600percent increase in biodiversity, a 35 percent drop in particulate pollution, and up to a 50 percent increase in land values within the vicinity. 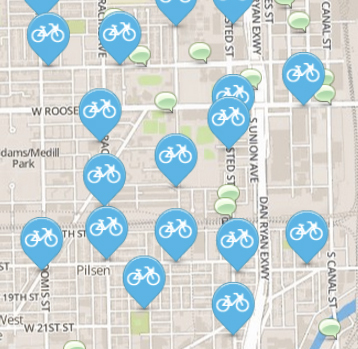 Aside from the obvious health benefits, protected bike lanes bring economic reward, too. In New York City, local businesses on the 9th Avenue protected bike lane witnessed a 49 percent increase in retail sales (compared to the borough average of 3 percent). In terms of safety, studies have shown that such lanes can contribute to a 90 percent reduction in injuries per mile and as for reducing emissions, choosing to cycle to work can reduce household emissions by 6 percent—a viable options for half of the United States who live within 5 miles of their workplace. Buses, too, can aid in this area. Dedicated lanes separate buses from general traffic allowing them a faster journey into the city unclogged with traffic, allowing them to carry many more people. All in all, the scheme offers a progressive and viable alternative to the highway that now slices through the city. Whether Providence's residents will take to the idea though, remains to be seen. As one of a slew of successful placemaking initiatives of late, along with the recently reopened Washington Park, Cincinnati’s Phyllis W. Smale Riverfront Park is a key component of the city's resurgent urban identity. 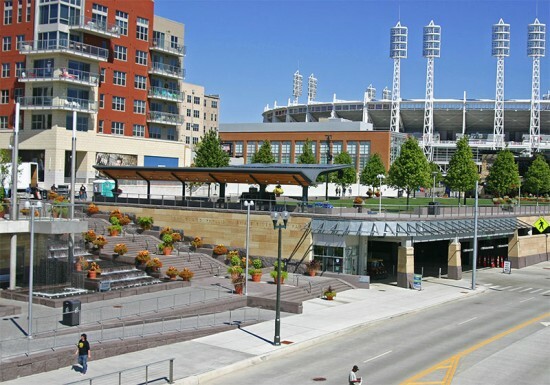 It’s a multi-faceted design, aspiring to filter water for flood control, provide green space and connect two downtown stadiums with a multimodal trail along the Ohio River. 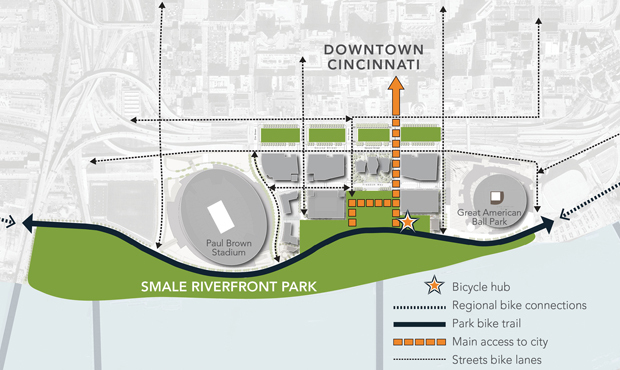 Smale, designed by Sasaki Associates, is also the site of a bike hub that ties two-wheel infrastructure into the city and two regional trail systems: the Ohio River Trail and the Ohio to Erie Trail. 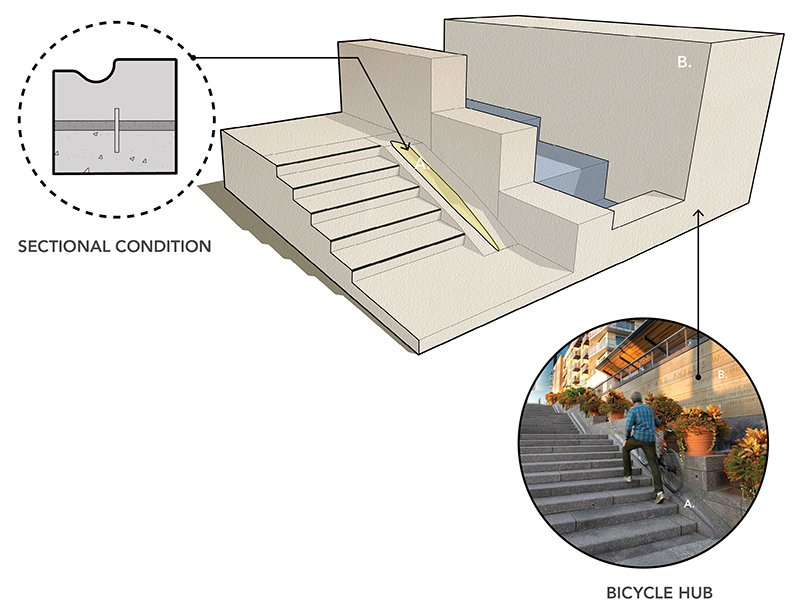 Along the edge of the park’s grand stair and within sight of both bike trails and the parking garage, the facility is intended to encourage travel by bicycle, Quadcycle and Segway. The hub celebrates its first birthday this May. This Friday April 19, Cincinnati will convene a panel to discuss multimodal connectivity throughout the city, including bikeways and bus rapid transit, co-sponsored by the Urban Cincy blog and the University of Cincinnati's Niehoff Studio. According to Urban Cincy, the event will "include discussion about how multi-modal transportation concepts can be applied throughout Cincinnati." 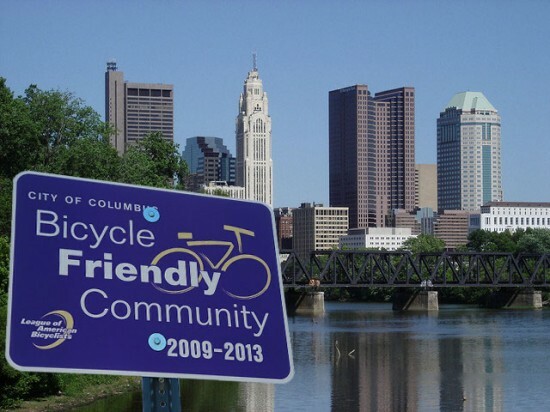 Bicyclists, add Columbus to the list: the capital of Ohio approved a $2.3 million contract with Alta Bicycle Share on Monday. Starting in May, users will be able to pay $5 per day via credit card to roam the greater downtown area on a three-speed bicycle. Yearly memberships will be about $65, which will include unlimited 30-minute rides for the year, but they will have to pay more for longer rides. Columbus is the first city in Ohio with such a program, but there has been talk in Cleveland and Cincinnati.